Even if other games only take aspects of it, it will be a move away from EverQuest clone 54 and Korean grind fest 49. Having said that, there does seem to be movement towards more experimental styles now, trying new things out and messing with the formula, bit by bit. Yeah, it looks as though MMO developers have realised that there is no beating WoW at its own game. Rather try something new and make a whole new pie rather than trying to steal a piece of Blizzard's. edit: You can tame sharks! and "As you adventure with a pet, it evolves to become more unique and eventually allows you to give it abilities that compliment your tactics." What happens if you summon your shark pet on land? Does it just flop around and die? You've never heard of a landshark? The ranger class description is pretty generic. The real meat is in looking at the skill animations. What is crazy is that class could be a lot of fun without the pet system. Why would I want anything more than an axe and a war horn in my off hand with traps? I hope this is viable. Where should you decide to not spec pets, you are not gimped and vice versa. Should you spec pet, they are more than window dressing. Kinda like the same class but if you spec pet, you become a warlock and if you don't spec pet you are a capable mage. Or maybe a hunter/rogue would be a better comparison. Both specs are great at dps and versatility, but its the same class and whether you are a hunter or rogue depends on whether you spec pet taming. Or how much you spec pet too. I'd be ok with the rogue getting a window dressing pet with no spec in pets and becoming a hunter if you spec a lot into pets. This article at IGN indicated that Rangers are meant to be a pet class. In fact, that seems to be the defining characteristic of the profession. So I hope you don't mind someone tagging along with you. Read more of my stupidity at Bullet Points. I don't know if this is the thread for it, but it doesn't seem to be worth one of its own in Everything Else. Is anyone interested in Ghosts of Ascalon, the first book of the GuildWars 2 prequel trilogy that's dropping on the 27th? I'm not really one for videogame books, but this is looking to have potential. Matt Forbeck and Jeff Grubb combining their powers Voltron-style? Yes please! I have it pre-ordered on Kindle. Very much looking forward to it. Yeah, think I will pre-order the Kindle version as well. I don't have a Kindle, but this seems like a good opportunity to see how reading that much off the PC screen will work. Shawn Schuster over at Massively enjoyed it. Regarding the book, first chapter available for free here. Haven't had a chance to read it yet. Another article about the ranger which included info I didn't see elsewhere. PC Gamer: If the Ranger is using a melee weapon, how are their skills different from a Warrior using the same weapon? Eric Flannum: That’s a good question. So let’s take sword: With a one handed sword, the first skill the Warrior gets is a combo that causes a lot of bleeding and has a big hit at the end – it’s a three part combo. One of the things we have is combination skills, where you hit the skill and it changes to be skill 2, then skill 3, and then cycles back to skill 1. So the Warrior has two bleeding skills and a big finishing skill in his first skill slot. His second skill slot is Flurry which is an area-of-effect skill: you hold it down and it does a rapid series of hits. And his third one is Savage Leap, which is a movement skill where he leaps at his foe. So the Warrior with the sword is all about causing bleeding and chasing down targets that are trying to run from him. The Ranger, on the other hand, is very, very mobile with a sword – a lot of the Ranger’s attacks with swords move him in some way. So his three part combo with the sword is; he has a basic attack, and then he has a kick as the next part which kicks the opponent away from him, and then his third one is a follow-up leap attack. His second skill is called Hornet Sting, where he attacks the opponent and then rolls back. And his third one is Serpent Strike, in which he rolls around to the back of an opponent and then poisons them with Serpent Strike. So the thing you’ll get with a Ranger attacking with a sword is a lot of movement, and you can use that movement to really good effect. In fact one of the really cool combos you can do with Ranger is: say you’ve got a sword and a shortbow. You can use your combo up to the second attack, where you kick the guy away from you, and then not do the third part. But instead use skill number 2, Hornet Sting, which will cause you to roll backwards – so you’ve just created a ton of distance between yourself and the guy you’re fighting. You can then immediately swap to the shortbow and use a cripple on them, and try to kite them with the bow. Sounds lag sensitive, but freaking awesome. One question that needs to be asked is if it will be possible to travel between regions like in the original. New level cap is 80, but the experience gaps between levels don't increase. Interesting move. As you can see, our leveling curve is pretty simple. Now, keep in mind that we haven’t finished everything and we’re still working out a lot of the details, but progression in Guild Wars 2 is way more than just leveling. We have achievements, trait collection, crafting, dungeons, skill collection, items, and much more. I definitely like the idea of levelling on a regular basis since I'm addicted to the sparkly level-up effects. My only concern is that with more levels than skills you get a lot of dead level-ups like in some other MMO's. Your hp's go up a little but no new skills, no new weapons. It's just a ding for the sake of a ding basically. Did you ever play GW1? The thing is, after 20 you still ding and gain a skill point. the 1-20 is really just training, getting your hp/energy up to full base levels, and points for your class specialisations. When you're 20 you are still away from the end of the campaign. Leveling in GW doesn't get you skills like other MMOs, but you get some base skills from early quests, buying them by trading a skill point + money, or capturing them from enemies in the world. I was worried when I heard that they were possibly changing the level cap because I like the fact that level in GW is meaningless. This new implementation seems to achieve something similar, meaninglessness, while still having something for the idiots who always complained about the cap. To be honest, since most content is balanced against your current level while learning, they could get rid of levels and have a counter for how many skill points you've earned. They would need to come up with a different way of gating content you're not ready for though, instead of having monsters you probably can't kill. I wonder if the fact that it goes up to 80 rather than 20 is any indication of the amount of the PvE content available. Did you ever play GW1? Nope. I've just gone back to Nightfall and the highest level character I had was 7. Needless to say I'm still getting a feel for all things Guild Warry. I wish levels would go away, I much prefer the World of Darkness system where you gain points through experience then can distribute them, but there's never a 'Level 20' character. Vampire:TM Bloodlines uses it. I hope the MMO sticks to this formula. Yeah, as scratched says, once you reach max level you still gain experience and accumulate skill points to train skills. You 'max out' very early in the game so the apparent level means nothing, it's all about the skills you bring to the party. It's a great system, a bit of education gets you as far as playing 8 hours a day seven days a week. My issue with this game is that I can all but predict that it will launch either right before Diablo 3 and thus get buried or launch shortly afterwards and be completely ignored. It's a hard one to call. I think GW2 will be a slow burn, as I think GW1 was with how they put out new campaigns. I'm not sure how long-term D3 is going to be, although all you can go on is the previous games which are D1 + the disowned expansion, and D2 + LOD expansion. I'd say it's reasonable to expect both GW2 and D3 within 2011-12, but I wouldn't want to guess any more specific that that right now. I'm stunned, every time I see some gameplay. Anyone in Cologne on the 19th? OMG, awesome! Me wants now. The combat flow and timing in this video + the details about classes and races = instant sale. I would even consider paying subscription to play this. GW was and seems like it's going to stay the best MMO out there (at least for me). According to Colin Johnson's description, the Necromancer in "Guild Wars 2" is much same to "Guild Wars 1"
I'm assuming that's translated by Google or something, it breaks my brain. We're 2 days (?) into gamescom and there's no word that I've seen of the hands-on demo. Have I missed something? I'm pretty sure I read somewhere that there will be a more permanent pet. 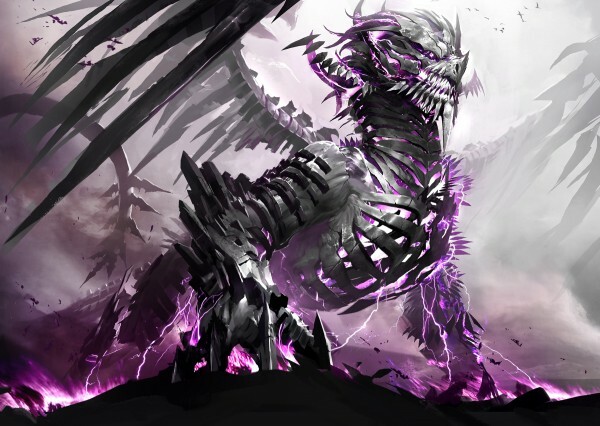 Also, wraith form is returning and it will have a permanent pet that is only available while in wraith form. Have you guys not seen the gameplay videos? They weren't releasing the hands on demo to download were they? OMG, I wouldn't be able to contain myself if they released a playable demo already. Yeah, I know the video is out, but they have 45 stations with playable demos at gamescom. The demo has two parts, a low level human and a level 47 Char for attendees to try out. I'm just finding the lack of coverage interesting, unless it's not being played yet.